Indoor air pollution causes many problems in your home. It is a problem that is gaining more attention. We used to worry only about the air outside. Not anymore! this is bad for us. There are too many cars to count and hundreds of factories spewing smoke and other harmful chemicals into the atmosphere. We always breathed easier when we got back home. All the bad things were outside. Inside we were safe. We were free to breathe again. YOUR House is Safe, Isn't it? Well, maybe not as safe as you think. Now we have learned our homes are full of poisonous fumes, allergens, and other junk. According to the EPA, indoor air pollution may be a bigger problem than air pollution outside. In fact, indoor air can be 5 times as polluted as outside air. Indoor air pollution causes many health problems. It can make existing problems worse. The different particles in the air can trigger an asthma attack. Short term exposure to these pollutants can cause watery eyes, runny noses, and itchy throats. 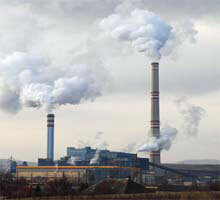 Long term exposure can cause respiratory diseases, heart disease, or cancer. What Causes Dirty Air in Our Houses? Some of the causes of dirty air are easy to pick out. 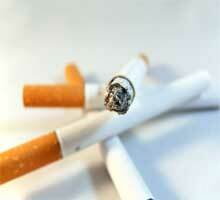 Tobacco smoke from cigarettes, cigars, and pipes can be a huge source of pollution in homes where tobacco is used. We all love to sit around a fireplace in the winter, but this can be a big source of pollution. If the fireplace is not operating correctly this can cause large amount of smoke to remain inside a house. Gas stoves, ovens, and heaters can also be a source of smoke and toxic fumes in the air in your house. We know household cleaners are poisonous if we swallow them, but did you know that the fumes they give off are also harmful? Other products like glue and paint used in hobbies and crafts give of toxic fumes that add to the pollution in your house. 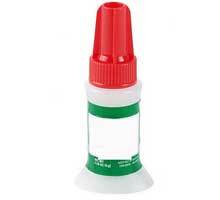 Other sovlents are in paint, carpets, and other items in your home. There are many more sources of air pollution in our homes. Anything that has an odor is likely to give of chemicals that can pollute the air. These can cause serious health problems in people. These air pollution causes are mostly chemical. For the most part they are avoidable. 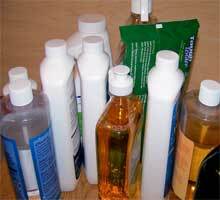 You have a lot of control over the chemicals in your house. You pick which cleaners to use. 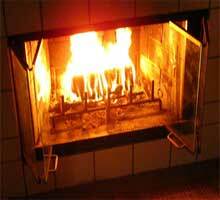 You can make sure your fireplace and gas stove are working correctly. Do everything in your power to remove the source of pollution from your house. After the source is gone, or if you can't remove the source, an air purifier can help. To remove chemicals like these from the air you need a filter with activated carbon or charcoal in it. 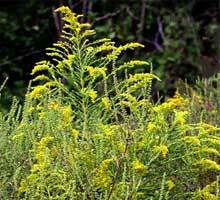 During spring and fall our homes become filled with pollen, especially ragweed. Many people are allergic to ragweed. Do you have pollen allergy symptoms? Do you have pets? Cats and dogs in your house will fill the air with animal dander, small flakes of skin. 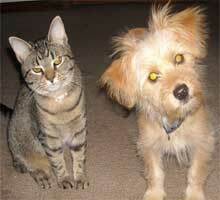 Many people have a pet dander allergy. Do you? Mold is another big problem in some houses. Just because you can't see it doesn't mean it isn't there. Do you have damp basements? You might have a mold problem. Some people are allergic to the spores produced by mold. These particles in the air can cause people with allergies to suffer more. Indoor air pollution causes their symptoms to last even longer. These natural sources of air pollution can best be removed with a HEPA filter. Just a note here. Most homes will have both types of air pollution, chemical and natural. Your best bet will be to get an air purifier with both types of filters. Indoor air pollution causes many problems and it makes existing conditions worse. Don't keep living in a home filled with polluted air! Do something now to clean the air! Are air purifiers the perfect end all solution? Of course not. They aren't a silver bullet, but they help out quite a bit. Just don't think you can turn on an air purifier and everything will be okay. They are not miracle workers. Many particles in the air will settle to the floor and be trapped in the carpet. Be sure to clean your carpets regularly. A carpet stain might be releasing chemicals into the air. Be sure to clean any carpet stains as soon as possible. ...Fix the stove. Don't think an air filter will make it all better. Let the air purifier clean the things you can't prevent. We here at All About Air Purifiers suffer from asthma and seasonal allergies. Since we started using air purifiers in our houses, we can breathe much easier inside. It is very nice to be able to get a full night's sleep. We want to remind you, please check out our reviews of individual air purifiers to help you find the best kind of filter for you. Also make sure you read our step-by-step guide on choosing an air purifier. It will help you to decide what kind of air cleaner you need. 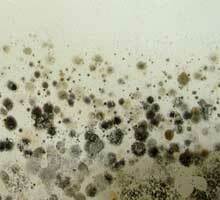 Remember indoor air pollution causes many problems. Don't wait until it is too late. Get everything fixed now. You'll thank me later. Leave Air Pollution Causes Page and Return to All About Air Purifiers Home Page.